Perforation malpractice cases can be great cases for plaintiffs. But for some surgeries and some perforations, they can be extremely tough cases. 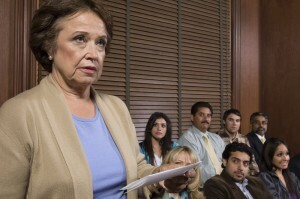 A secretary in New York found that out last week when a jury found against her in her malpractice case. Plaintiff went in to have her pregnancy terminated. Let’s face it objectively. Statistically speaking, someone on the jury is likely to be set against her from the opening bell. Of course, the same juror that takes exception to the woman terminating her pregnancy is not going to hug the doctor who is performing the procedure. Anyway, the woman has pain and other complications after the surgery requiring an 11 day hospital stay. She contended the doctor perforated her uterus during the procedure but that it healed before anyone could detect it. She got an expert to say, not that the uterus should not have been cut, but that the doctor would have known of her injury if he had just checked before he closed her up, and that his failure to do so was a breach of the standard of care. The defense’s expert said you don’t need an instrumental inspection before concluding the procedure because, ironically I guess, it increases the patient’s risk of sustaining a perforation. The doctor also claimed that perforation is a known risk of the procedure. Obviously, the physician had one more weapon here, arguing there was no perforation in the first place. In fact, they put on a pathologist expert witness to reject the “spontaneous sealing of a perforation” theory. I root for plaintiffs sometimes by reflex. But, gun to my head, I would have sided with the defendant in this case based solely on the facts in the jury report that I read on this case.